Cycling shoes can help you ride longer, faster and in greater comfort but only if you get ones that fit well. Read on to see what makes cycling shoes unique and how to find the right ones for you. Cycling shoes have a very stiff sole to disperse pedaling pressures along the entire length of your foot. 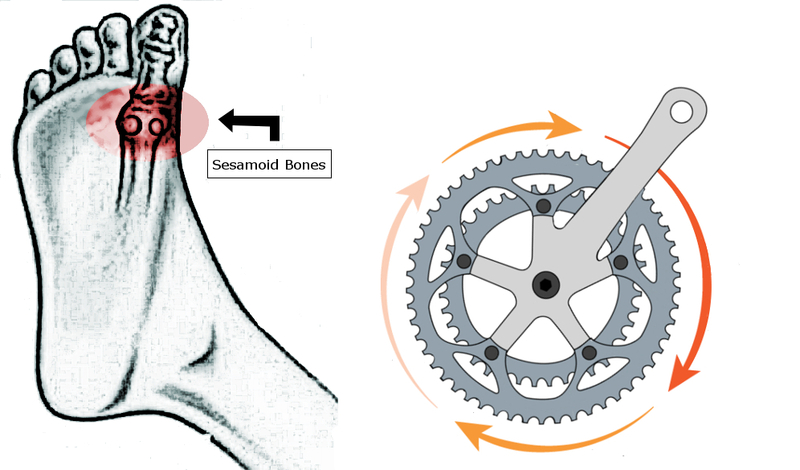 In contrast, normal sneakers have flexible soles that centralize most of your pedaling efforts onto the sesamoid bones, causing a lot of discomfort. 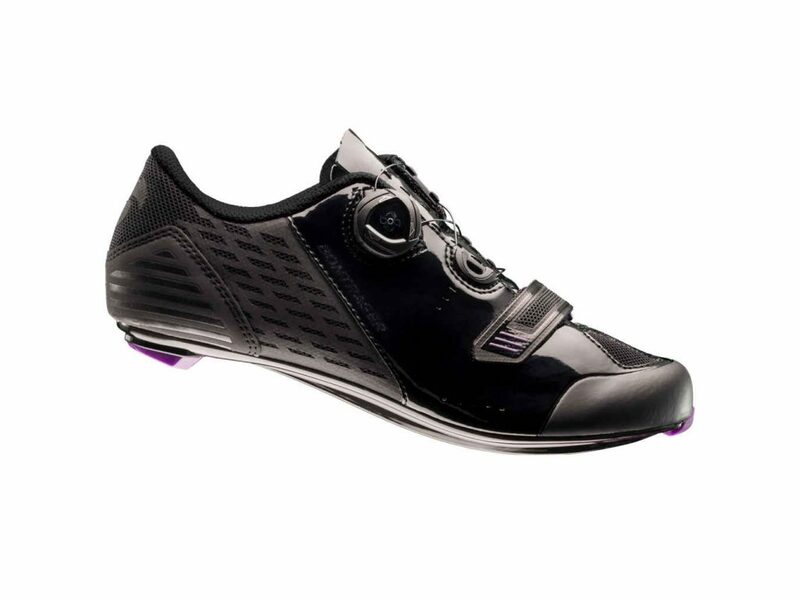 Therefore, a cycling shoe is also a great option for riders who don’t plan to use a clipless pedal. Once you add the benefits of a clipless pedal, cycling shoes will make riding easier and more comfortable. What makes a cycling shoe stiff is the materials used in the sole. The most common materials are nylon and carbon fiber. Nylon is a great choice for cycling shoes because it is strong, relatively light, very durable and highly resistant to cracking. Additionally, nylon is inexpensive, so it can be used to make low cost cycling shoes. The downside of nylon is in its stiffness over time. In my experience, Nylon will generate a flex point over time, making the shoes more flexible through the years. Carbon is very similar to Nylon in that it is strong, and light. Where carbon differs is that it is far stiffer than nylon, never generates flex, and is very expensive to produce. Carbon soles are only found on high cost shoes, but offer a much longer lifespan. Cycling shoes can help you ride longer, faster and in greater comfort and there is a large selection to choose from. Cycling shoes can most easily be categorized into three categories – Road, Mountain, Recreation. Road shoes are easy to spot because the sole is almost entirely smooth with only a small bit of tread on the heel. They are the only shoes capable of accepting a large road cleat, and are typically highly ventilated. Thanks to the lack of tread, it is easy to see what the sole material is. A Mountain shoe will look like a road shoe above the sole. Often time the closures, ventilation and appearance are the same as it’s road sibling. Where these shoes differ is the sole design. 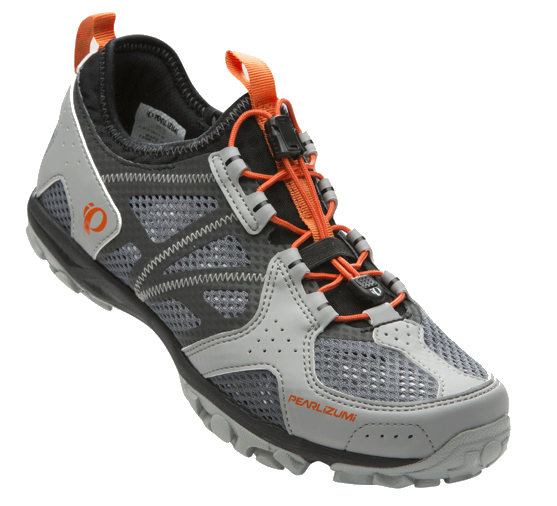 Mountain shoes have deep treads built into the sole to offer traction in loose and steep conditions. Because the sole is covered in rubber treads it is more difficult to conclude if it is made of carbon or nylon. Not everyone needs a road specific shoe or the aggressive treads that come with a mountain shoe. For that reason, most companies make a recreational cycling shoe. These shoes use a soft rubber for the tread that offers tons of grip when used on a flat pedal, they also use a nylon sole for stiffness and clipless compatibility. 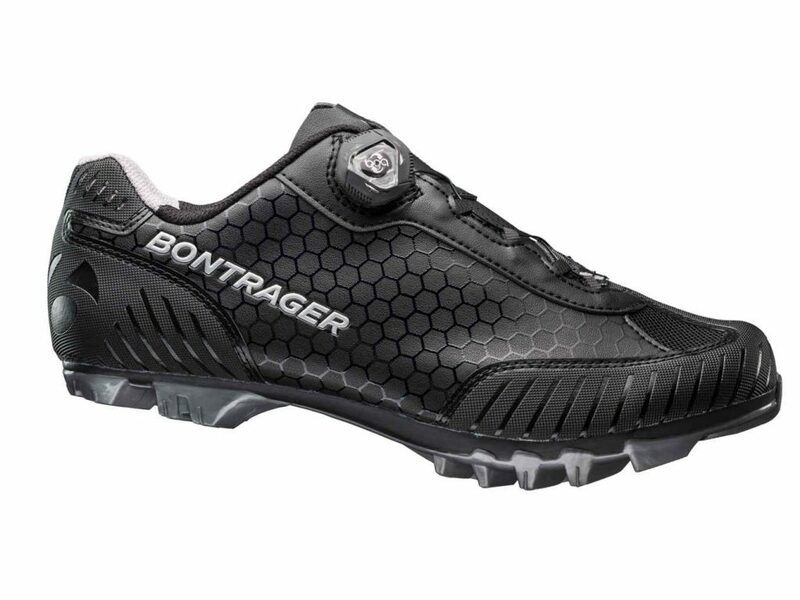 Mostly, these shoes look like a casual sneaker even though they hide cycling specific benefits inside. Some even use a hinged sole that can flex upward when you walk, but will not flex under pedaling forces. Your foot is designed to work like a leaf spring when walking or running. Your arch collapses to absorb impact and rebounds to help you propel forward. 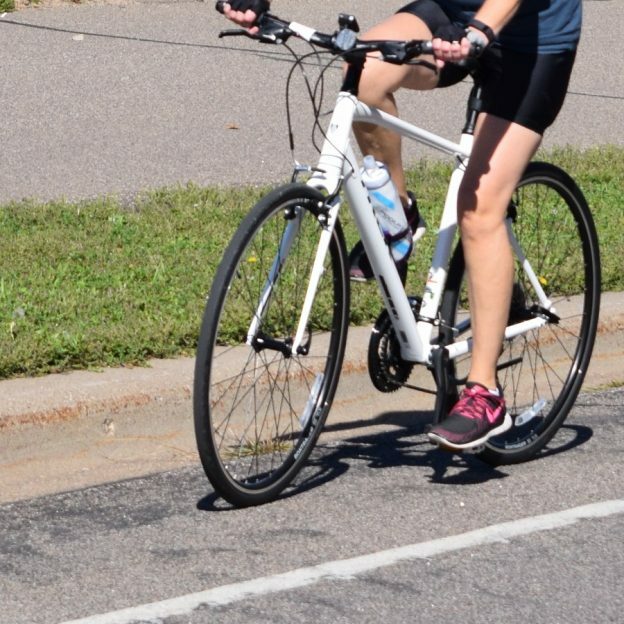 Although, when cycling, having your arches collapse can cause alignment issues in your knees, ankles, and hips. 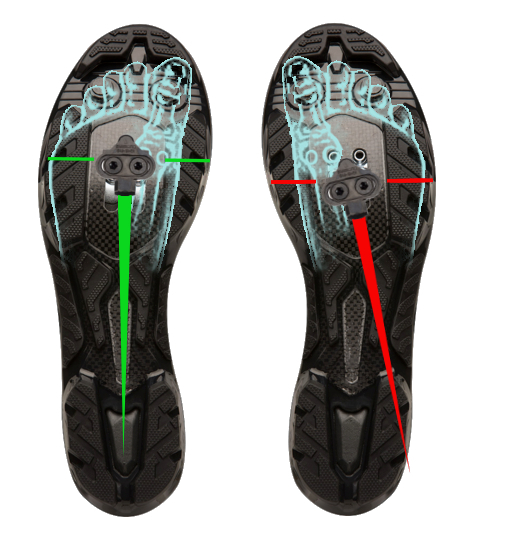 To combat arch collapse, most cycling shoes use insoles designed to support your arch. If your shoes don’t offer insoles with enough support, there are plenty of options available for custom insoles. Now that you understand what you’re looking at, let’s talk about how to try the shoes on. First thing to remember about cycling shoes is that they are nothing like sneakers. Cycling shoes are often sized in European sizing and while most brands offer a conversion chart, only use it as a starting point. When you try a Cycling shoe on for the first time, it should fit tighter than a sneaker. You want a tight fit because your foot is attempting to pull out of the shoe during a pedal stroke. In contrast, while running your foot is being slammed into the shoe so sneakers need to be more roomy. Additionally, most cycling shoes are made of synthetic materials that stretch and conform to your foot over time. Therefore, a shoe will be far more snug when you try it on than a year later. If the shoe is snug all the way around, that is good fit even if you can feather your toe off the front of the shoe. If you feel any specific point of contact, that usually is an indicator that the shoe is the wrong fit. If you go to your local bike shop to get your shoes, they will typically install the cleat for you. If you are doing it on your own, try to position the cleat just behind the ball of your foot and straight on the shoe. I find it helpful to grease the threads of the cleat bolts before installation. Hopefully, you feel comfortable going to try cycling shoes on after reading this. If you do have any more questions, either leave them in the comments, or visit your local bike shop. This entry was posted in News and tagged American Podiatric Medical Association, Bontrager shoes, Egg Beaters, hybrid bike, hybrid bikes, Insoles for Bike Shoes, Installing Cleats in Bike Shoes, LOOK, mountain bikes, Pearl Izumi shoes, Ride My Bicycle, road bike, road bikes, shoe shopping, shoes, Specialized shoes, Types of Bike Shoes on July 5, 2017 by John Brown.